This podcast episode is a continuation to support Operation: #investNOW where I’m inspiring 1 million people to invest in themselves. Check it out here. This podcast is all about one of the best investments I’ve ever made, but I’m not just rehashing Episode 15. I’m going to be diving deeper into one of those investments – coaching. Investing in my own coaching program is one of the best investments I have ever made in myself and in my business, but I didn’t really get it at first. Then, when my business grew and started lacking direction, I realized what I needed: a coach. Another online entrepreneur recommended Strategic Coach, which is made for entrepreneurs, and I haven’t looked back. This podcast is all about the coaching process – what it is, how much it is, and what the coaching process looks like (I even get coached! ), courtesy of Karyn Lisk from Futurepurposecoaching.com. Big thanks to Betterment for being the official sponsor of the GF¢ podcast! You can learn more how about how Betterment is changing the way you invest here. While working, Karyn found that people frequently told her their issues, and she had a knack for helping to find solutions. 15 years ago, this led to working with a lawyer who was going through a coaching program. Karyn agreed to be “coached” as a tester, which inspired her to become a coach herself. Therapy goes into your past. Coaching is about where you want to go in the future. Coaching is as long or as short as you make it, all dependent upon your specific goal(s). Coaches facilitate goal-setting and goal-achieving. There are many different kinds of coaches: life coaches, health coaches, career coaches, financial coaches, mediation coaches, yoga coaches… whatever your niche is, there is a coach for it. Though there are many different niches, the coaching process is the same. 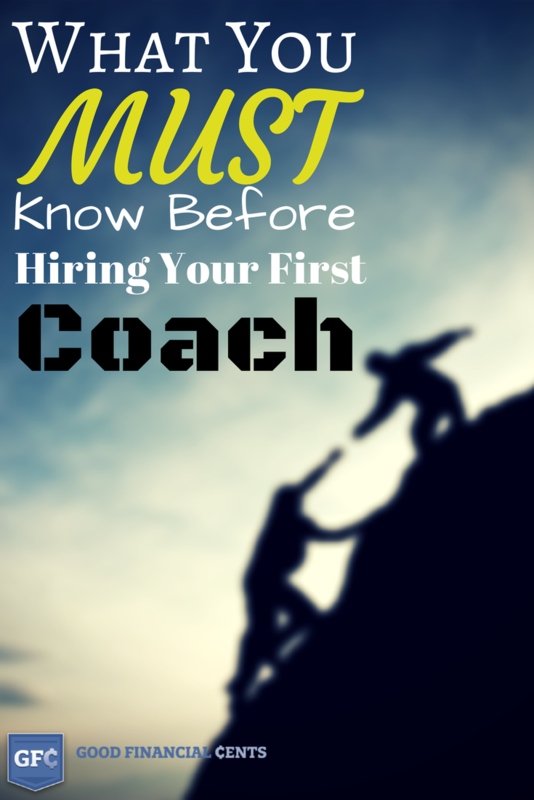 Hire the coach for a specific reason (grow business, lose weight, become more assertive). Coach will help you set a specific goal. Coach will set up a process by which you can achieve that goal, by explaining how many sessions it will take and what you will need to do. However often you meet (weekly, bi-weekly, monthly, etc), the coach will ask and/or give you questions to help you come up with your own answers. Check out the coach’s website. See if their process is something you want. Make sure they aren’t pushy or telling you what to do. Find out what assessments they use, see that they ask the right questions. No specific questions – typically you progress through modules. This can get you started and is more economical and less intimidating. Typically you pay per block of hours, rather than hour-by-hour. Ranges vary widely for individual coaching, and depends on your needs. This is a growing industry, as many need direction to complete goals. They want to avoid making mistakes so they are willing to learn from an expereienced coach.